The NHL got the feel-good story of the year when fans voted John Scott into the All-Star Game, and an even better ending Sunday when he scored twice and was voted MVP. 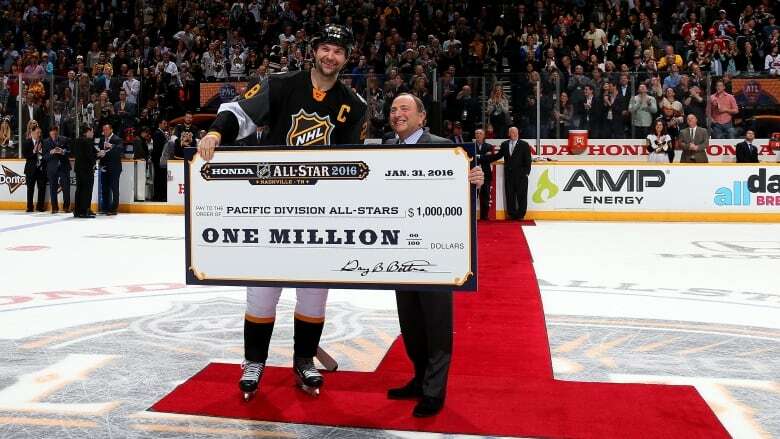 John Scott didn't just get the last laugh this All-Star Game weekend, he got the bulk of them. The 33-year-old was genuinely happy to be in Nashville, and looked like he was having the most fun out of anyone. It seemed to be just icing on the cake that he captained the Pacific team to a win, scored two goals and was voted MVP. Of course it must have felt good to throw some shade at his haters, like this dig at one of his biggest critics, Jeremy Roenick. It makes you wonder, who will play John Scott in the made-for-TV movie? Can't view on mobile? Click here.